The UK automotive industry traces its roots to the end of the nineteenth century. Rolls Royce, Aston Martin, Jaguar, Mini cooper, Land Rover - nothing beats the luxury of a classic British car. The United Kingdom is a major player in the automotive sector, both in terms of production and as consumers. The UK's motor industry is major business and it is a significant contributor and driver for the national economy. The automotive sector in the UK is recognised around the world as a driver for innovation and production in the industry, as well as a source of highly skilled and flexible workers. The UK also has a significant history in the automotive industry, from high quality brands such as Bentley and Aston Martin to innovative car racing clubs and teams that find success on circuits around the world. Motor vehicles are a major aspect of life in the United Kingdom. In total, there are more than 35.7 million vehicles on UK roads, including 31.4 million cars and 3.6 million vans. 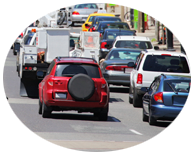 Approximately 2.6 million new vehicles were registered in 2013 alone. The SMMT estimates that car registrations will continue to increase by 1.2 percent in 2014 and 1.5 percent in 2015. Light commercial vehicles (LCV) registrations are also expected to increase at rates of 2.5 percent for 2014 and 1.8 percent for 2015. Top new car sellers in the UK during 2013 included the Ford Fiesta, Ford Focus, Vauxhall Corsa, Vauxhall Astra and Volkswagen Golf according to the Society of Motor Manufacturers and Traders Limited (SMMT). The Nissan Qashqai, BMW 3 Series, Volkswagen Polo, BMW 1 Series and Peugeot 208 rounded out the top 10 most popular cars. Over 1.1 million cars or 49.8 percent of new registrations were diesel vehicles in 2013, while 48.8 percent featured petrol based engines. The UK continues to attract significant investment in the automotive sector and the industry has seen positive signs of growth and recovery since the recession that began in 2008-09. According to the SMMT, over 1.5 million vehicles and 2.5 million engines are manufactured in the UK each year. Many other components used to manufacture cars in other countries are also made in the UK, such as engines. There are approximately 2,350 companies in the UK that are automotive suppliers, which employ some 82,000 people. The automotive supply chain also generates about £4.8 billion of added value each year. Of the more than 1.5 vehicles made annually in the UK by UK vehicle manufacturers, approximately 80 percent of the total production is exported to other countries. More than 40 companies manufacture vehicles in the UK, including cars, vans and trucks, buses and coaches, trailers, and niche vehicles. There are seven major car manufacturers and seven commercial vehicle manufacturers in the country, as well as nine bus and coach manufactures. There are also eight major premium or sports car produces with over 100 specialist brands operating in the UK. Major manufacturers with production sites in the UK include Aston Martin, Bentley, BMW, Ford, Honda, Jaguar, Land Rover, Lotus, Mercedes-Benz, Nissan, Rolls-Royce, Toyota and Vauxhall. The United Kingdom is also home to eight Formula One teams. In total, the automotive industry in the United Kingdom employs more than 700,000 people and a total of 800,000 jobs are dependent on the sector. The annual turnover of the UK automotive industry is approximately £60 billion and the net-value of automotive manufacturing is about £12 billion each year. The automotive sector also invests more than £1 billion annually in research and development, including research in advanced engineering. The industry is also a significant player in UK exports, accounting for over ten percent of all exports to other countries around the world.